The production company for the latest instalment in the Star Wars Saga, The Force Awakens, was fined £1.6 million this week by Aylesbury Crown Court. Foodles Production (UK) Ltd, which is owned by Disney, plead guilty earlier in the year to breaches of Health and Safety legislation. 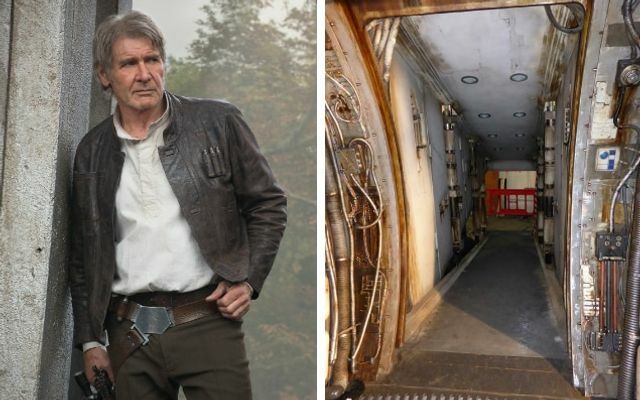 The prosecution was the result of an HSE investigation into an accident in which Harrison Ford was crushed by a hydraulic door on the set of the Millennium Falcon. The incident left the actor pinned to the floor with serious injuries to his left leg and hand. We previously reported this on our blog called Door Wars which can be found here. This sentence is yet another example of substantial penalties that the courts are imposing when sentencing for breaches of health and safety legislation and should remind us that every business must take steps to manage health and safety. 9. finally, make sure you keep all of this up to date. For example, the risk assessment should be updated when there is a relevant change in your workplace, and at least once a year. There is no point in having a risk assessment relating to one office after you have relocated. If you require further advice on any health and safety issue, you may wish to join our community; on elXtr we have numerous guides on health and safety law issues. For example, on this page we have detailed guidance on how to deal with accidents. And should you ever be investigated for health and safety or related matters LHS Solicitors are able to help from the beginning of the investigation through to appearance at court. If you want to find out more, give us a call on 0345 351 0025 and we can talk you through your options.